It's very difficult to come up with a price on a home when the client is emotionally attached to the house. The truth is that the fair market value is what the home is worth. It's our job as real estate agents to communicate this to a seller. 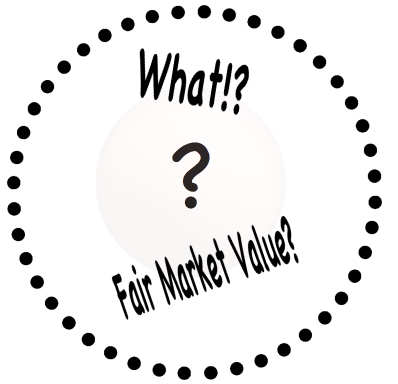 Unfortunately when a seller is in love with their home and don't want to leave, the definition of "fair market value" is complicated. When you are trying to determine the best price, you must consider the current inventory in your neighborhood. Who are your competitors? Where are you located? The majority of sellers assume that updating their home is the only thing that matters, but the truth is the buyers are the ones who determine what your home is worth. If your home is on the market and is viewed by plenty of parties, but never moves? Your home is priced incorrectly and you need to consider changing the price or taking your home off the market. You can spend tons of money on updates, but if the house down the street is a better deal, you've wasted your time and money.